Budapest, April 30 (MTI) – About one hundred demonstrators gathered in front of the National Bank of Hungary on Saturday to demand the resignation of governor György Matolcsy. Bertalan Tóth, deputy group leader of the opposition Socialists, said that Prime Minister “Viktor Orbán’s right hand has been exposed” and it has been revealed that Matolcsy has “sticky fingers”. 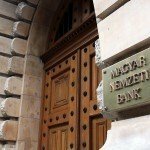 He noted that one year ago he was the first to ask the central bank’s foundations on what they had spent 260 billion forints (EUR 836m) of public monies. 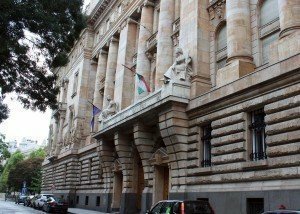 The ruling Fidesz tried to introduce a law to cover up the bank’s wasteful spending but the constitutional court has thwarted the effort and the foundations’ financial dealings has become public, Tóth added. 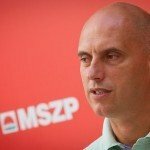 He demanded that the foundations should also reveal the private individuals who received hundreds of million forints from them. 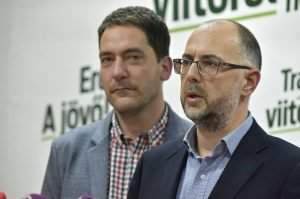 Socialist lawmaker Sándor Burány said that contrary to the government’s claims, it is not the opposition parties or journalists that should be blamed for the weak forint but Matolcsy himself. 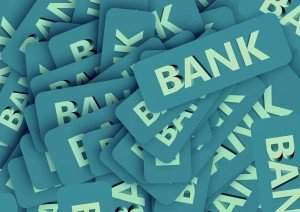 The central bank should return to the budget the money it had earned on the weaker forint, he said. István Kálmán-Pikó, representing those that suffered damage as a result of the bankruptcy of the Quaestor brokerage, told the event that the central bank should have supported troubled investors instead of spending on expensive real estate and paintings.